A Microsoft Certification validates your expertise in a Microsoft technology. Passing your first Microsoft Certification exam automatically makes you a member of the Microsoft Certified community, with access to all of the benefits provided through the Microsoft Certification Program and the private member site. Microsoft recently introduced new, streamlined technical certification paths, aligning to industry-recognized areas of competence and providing flexibility to showcase your specific skills on Microsoft products and services. Microsoft offers a wide range of online certification programs designed to take your skills and your career to the next level. If you possess a Microsoft Certification, then your value is increased many times, and you have an edge over others, who do not have similar Microsoft Certificates. 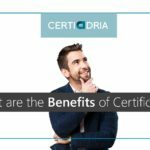 There are plenty of benefits of Microsoft certification, some of which are listed in this article. 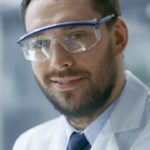 The article takes a look at the benefits of having Microsoft Certificates from a job or career point of view. Of course, you will also gain immense knowledge while preparing for Microsoft exams. As with any certificate, Microsoft provides you with certificates when you successfully pass their exams online. A certificate can be in a particular software or a set of software as explained above. In some cases, Microsoft provides certificates for entire processes that are performed at offices. An example could be Office Automation that includes knowledge of Windows Operating System, Microsoft Word, Microsoft Excel, Microsoft PowerPoint, OneNote, Outlook and some knowledge of Windows networking. Thus, if you have a certificate, it is proof that you mastered the skills related to the certificates. With a certificate, your value increases when you apply for jobs. According to Microsoft your chances of getting hired increases 5 times because Microsoft Office skills are required more than the experience of non-Microsoft similar products. Microsoft says the future’s high wage, high growth industry requires knowledge of Microsoft Office and companies would want to hire the best for such jobs. According to Microsoft, 86% of hiring managers indicate that they prefer job applicants having an IT certificate. And Microsoft certification is a preference over some unknown computer training institutes’ certificates. For example, there are exams for Word, Excel, and PowerPoint separately and there is an exam for Microsoft Office that combines all these three plus other products of Microsoft Office such as Outlook and OneNote. Microsoft Certified Professionals form a unique community with Microsoft as its hub. Individuals can take advantage of the networking and professional growth opportunities, which, according to the research, is a much more poignant aspect of the value of certification that was previously envisioned. Microsoft also recognizes that the community is an important way to engage with its customer base. You can read more about the value of Microsoft Certifications. Microsoft certification is available at three branches, Microsoft Office Specialist (MOS), Microsoft Technology Associate (MTA) and Microsoft Certified Educator (MCE).